Daily hygiene routines keep you healthy, but we rarely think about the consequences of disrupting those routines. Poor oral health and tooth decay remain far too common for many adults, in spite of how easy it can be to prevent most major dental concerns. Gum disease comes from an infection of the pulp of the tooth. Untreated, gum disease can lead to damage to the root of a tooth as well. Food bacteria that remains on the surface of teeth too long results in the formation of plaque. Cavities are actual holes in the enamel of the tooth that form after plaque and tooth decay have been neglected, but these effects are entirely preventable with proper hygiene. 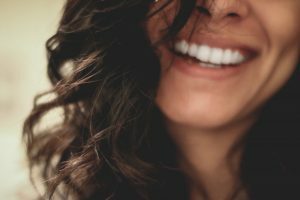 Research is being done into modern dental health techniques, including a diagnostic method using fluorescent light that is capable of identifying decay before it can even lead to cavities. Scientists are also researching “smart filling” systems which release fluoride slowly. These technologies are being developed in the hope that they will help overall health in society by reducing the incidence of cavities and tooth decay.